Imagine Dragons are one of the most popular bands in the world, with an outstanding back catalogue of tracks spanning three records. 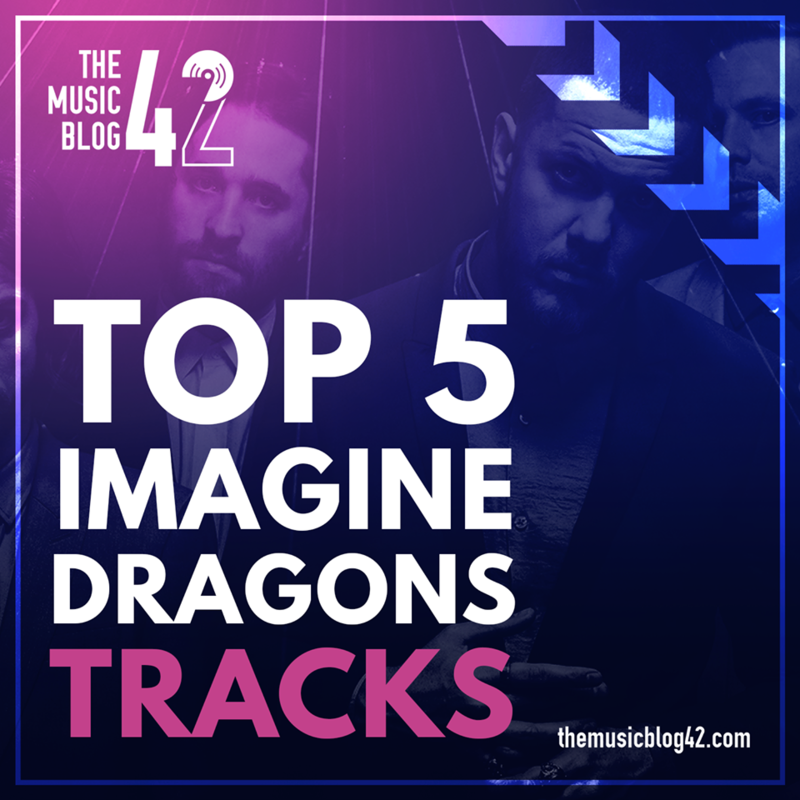 This Top 5 Thursday sees Myles Ketchell pick his five favourite Imagine Dragons tracks. The moment this song starts playing it’s very unique and catchy. Although the lyrics are quite dark and are about a reawakening, this was originally intended as promotional material for their debut album but this was a great album track from 2014’s Night Visions. The chorus to Amsterdam is very uplifting lyrically and musically, which is a contrast to the main body of the song. On Top of the World is a really catchy feel-good tune. It has been used in a number of films and TV ads, which has led to increased popularity for the band. The combination of the beats and whistles in the instrumentation, combined by the lead singer Dan Reynold’s trademark vocals, really makes this song one of their most memorable and most definitely one of my favourites. This track is very different to what Imagine Dragons have produced before in my opinion, but it still sounds like what I’ve come to expect from the band. The basic but memorable, catchy lyrics and the use of distorted bass and synths make this one of my favourite songs of 2017. Many long car trips have been made easier listening to this song and I only have fond feelings towards the track. Considering the number of great tracks that the band have produced over the years, it was difficult to pick which track I’d pick as number two, but this track had to be in my Top 5 somewhere! The track, in my opinion, is a classic Imagine Dragons track, a blend of rock and electronic music. Hands down my favourite track from their latest album, 2017’s Evolve. Their most popular song, and my favourite track of theirs. The track is easily recognisable and is definitely one of the best songs released over the past few years. Radioactive is a great track in the way that it’s blended three genre’s into one epic song: alternative rock and pop with a sprinkling of electronic music too. Well-received by fans and critics alike, the track is easily my favourite Imagine Dragons track… until they release more new music! Be a huge help to the Blog and fill out this short survey!